HawkEye 360 is developing a space-based civil global intelligence network that will use radio frequency (RF) technology to help monitor transportation across air, land and sea and assist with emergencies, which is essentially a civil SIGINT (Signal Intelligence) mission. 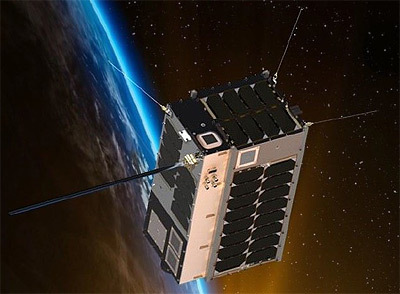 The constellation of small satellites in low Earth orbit (LEO) will collect information on specific radio signals worldwide to provide high-precision radio frequency mapping and analytics. The envisioned constellation, once operational, could enable significant commercial applications such as allowing government and corporate customers to dynamically monitor transportation networks across air, land and sea. For government regulators, telecommunications companies and satellite broadcasters, HawkEye 360’s system is being designed to monitor RF spectrum usage to identify areas of interference. The envisioned system could also be used to play a crucial role in the detection and location of activated emergency beacons, improving response times that are critical in life-threatening scenarios. Deep Space Industries and SFL selected to provide satellites for HawkEye 360’s Pathfinder mission Deep Space Industries has partnered with the UTIAS Space Flight Laboratory (SFL) in Toronto as its platform provider. GomSpace is providing their flight-proven software-defined radio platforms and antennas to serve as the payload for HE360’s Pathfinder mission. A pathfinder constellation consisting of three satellites is planned for launch in late 2017, delayed to early 2018. The satellites are to be launched on Spaceflight Industry's SSO-A multi-satellite launch on a Falcon-9 v1.2 (Block 5) rocket.